The odds of a casino dealer earning tips are comparable to the odds of a player winning a game. Casino dealers rely on tips for income, and tips come from winning players. Volatile daily and weekly earnings make a career in this field risky. A few lucky dealers earn stratospheric amounts, while others earn just enough to meet the adequate income necessary to meet basic living expenses. Learn how to play the game before setting a bet on a career in the casinos. The national average base pay for a casino dealer is $14,700 a year, according to the Bureau of Labor Statistics, but that figure does not include company benefits and tips. The total salary earned annually averages $32,000 to $58,000 a year, which may include benefits such as disability, health insurance, and pension, along with tips that account for roughly 50 to 80 percent of that salary. Most casinos offer minimum wage as starting base pay, while other casinos start base pay around $7.00 to $8.00 an hour. Some companies may also offer small periodic raises. New dealers work at unpopular tables until they master a game and move on to other opportunities or higher paying tables. Casinos offer numerous table games, so each dealer works at a table game that he or she has mastered, but no table game guarantees more income than any other game. Experienced dealers, with a clean work record, may move through the ranks and become a supervisor or pit manager, who earns an average salary of $60,000 a year. Various circumstances influence income potential for a casino dealer. Supervisors assign dealers to table games for maximum income potential and customer satisfaction. These decisions include variables such as personality and physical features, while also employing the art of optical illusion. For instance, husky dealers do not work on the podium, so guests can move around easier, and placing shorter dealers in the craps pit creates an illusion of an inferior dealer, attracting players into that arena. During slow seasons, or periods of recession, dealers earn fewer tips and have work hours reduced, which inevitably affect the base pay and some benefits as well. Weather conditions, the time of year, and other factors provoke or inhibit potential earnings. A new era of gratuity enters the casino workplace as casinos employ second and third-generation tipping. Some casinos allow the dealers to keep the tips earned from the shift, yet other casinos put each dealer's tips into a pool so all the dealers share the total of tips earned, splitting them equally at the end of the shift. Dealers may employ third-generation tipping when he or she compensates other workers who drive business to the table. For example, a wait staff may refer customers or seat winning players. If a dealer earns tips from those customers, he or she shares them with the wait staff, in addition to sharing tips earned if required. The dealer, who compensates those workers well, receives a constant flow of players to his or her table, builds strong interpersonal relationships, and promotes a vibrant working environment that increases job satisfaction and income potential. Fantasy averages attract new dealers into the field, with the premise of earning a disproportionate salary. These averages come from unreliable, inaccurate earnings estimates stemming from an impressive earning amount and determining annual earnings based on that one high figure. For instance, if a casino dealer made $2,000 one week and multiplies that weeks earning by 52, the assumed annual salary is $100,000 a year. Those estimates do not represent the accurate annual earnings of any casino dealer or recreation worker. Furthermore, predicting income by tips expected from winnings do not represent the actual tips earned, as customers do not always tip as recommended. Other times, pit managers may ask the players to leave if they are winning too much, which also disrupts the flow of tips. A dealer's salary may depend on timing. Nightshifts are busy hours in the casino, so dealers can earn more, but morning shifts are slow hours in the casino, where new dealers practice technique and skill, and eventually work up to the more popular tables and shifts. 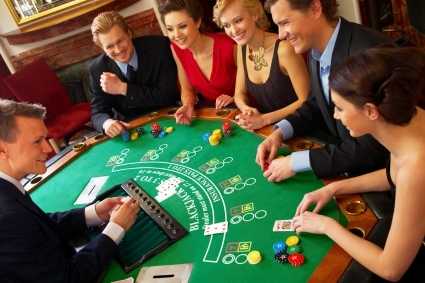 High-end clientele can patronize the casino at any hour, and high rollers tip well. During busy seasons, dealers can expect more work hours and higher tip income. During slow shifts or off seasons, dealers may request to leave the shift or stay and earn the base salary. The small income earned in these seasons offset the income earned during busy seasons. In addition, most casino dealers work an hour at a table before relieved by another dealer for a twenty-minute break. An unlucky dealer may leave the table for break, just as a player hits a winning streak and tips generously with each win.